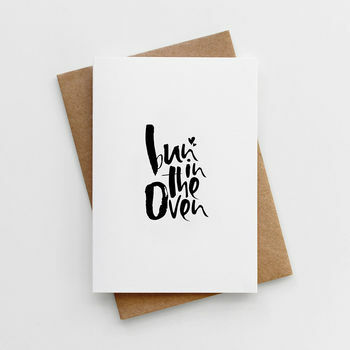 A beautiful hand lettered card teamed with a gorgeous hand cut lined envelope. The perfect card for an mum-to-be on their pregnancy news! 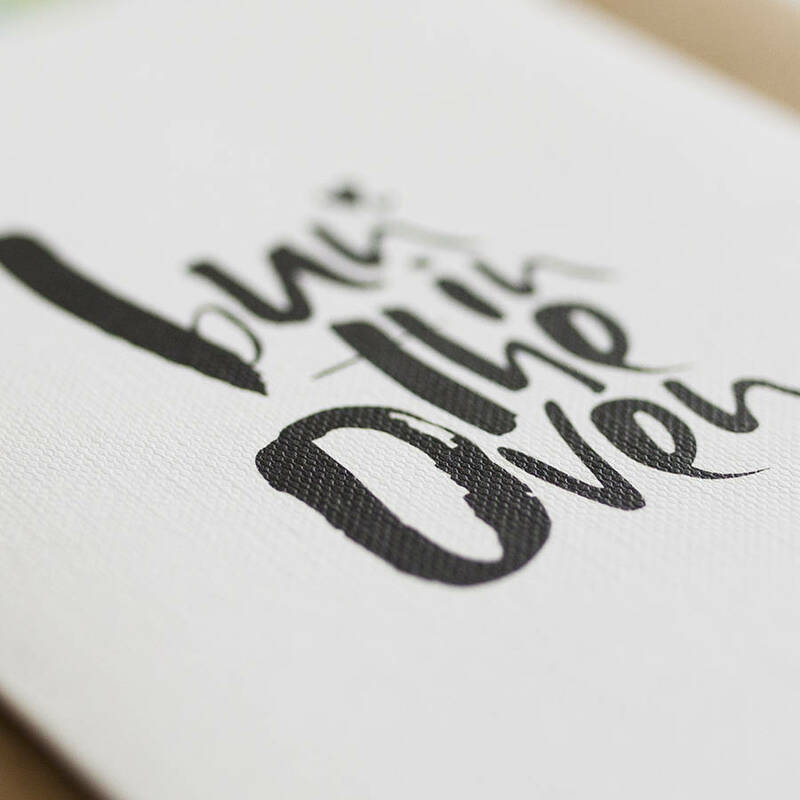 Featuring our classic hand lettering, this super cute card reads 'Bun in the Oven', this card would make the perfect choice for a baby shower or mum-to-be party. 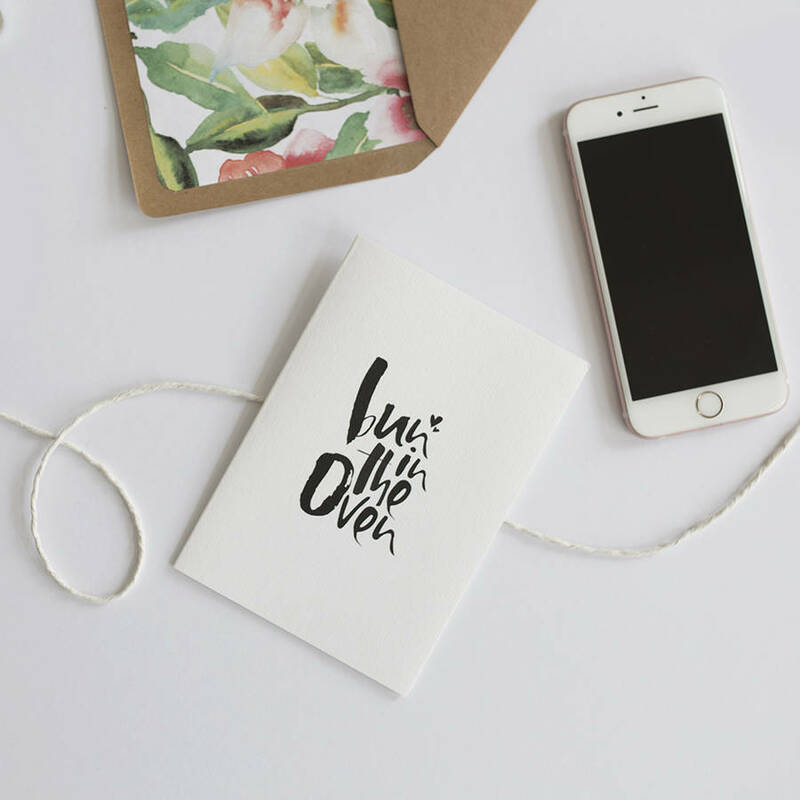 This moden and contemporary design is printed on luxurious eco friendly, textured 350gsm card and teamed with a recycled kraft envelope.